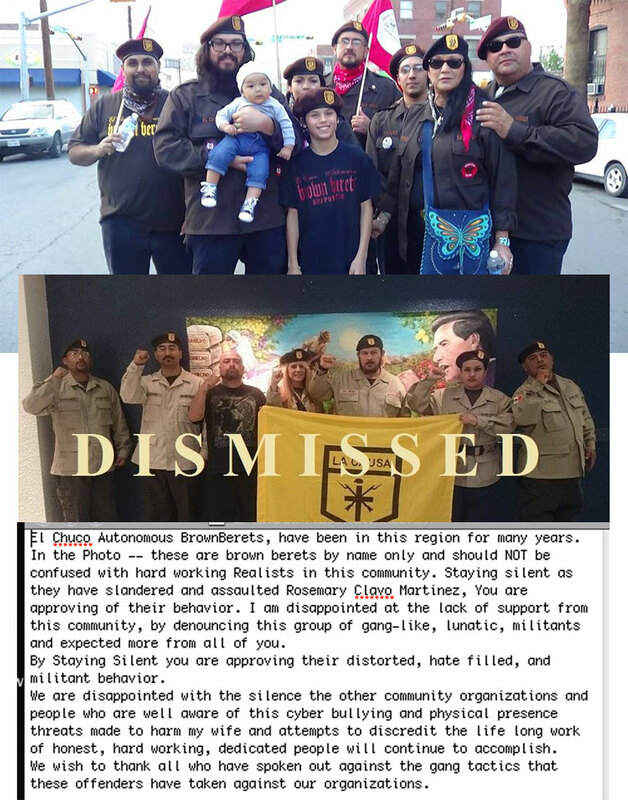 This entry was posted in BBNO, Brown Beret National Organization, Brown Berets, Chicano Movement, Current Events, Facebook, Infiltrators, Saboteurs, La Causa, La Hermandad, Libel, Los Brown Berets, Official Statements, Politics, San Antonio, Why I'm a Brown Beret by Staff. Bookmark the permalink. As a representative of the Mujeres de Aztlan we support all the efforts stated above by El Chuco Autonomous Brown Berets in Texas. When our own men out of jealousy, ignorance and stupidity threaten and assault our own women you know seriously that something is wrong! We stand united as the Mujeres de Aztlan with El Chuco Autonomous Brown Berets in this matter. No longer will we accept this behavior or allow the BBNO to represent any of us in the struggle known as “La Causa.” We are asking all of our Mujeres de Aztlan to not join or contribute to the BBNO in any way. We are also asking all of our brothers to be aware of our decisions to do this and to support us in a manner that is truly carnalismo. Respectfully, Mujeres de Aztlan….